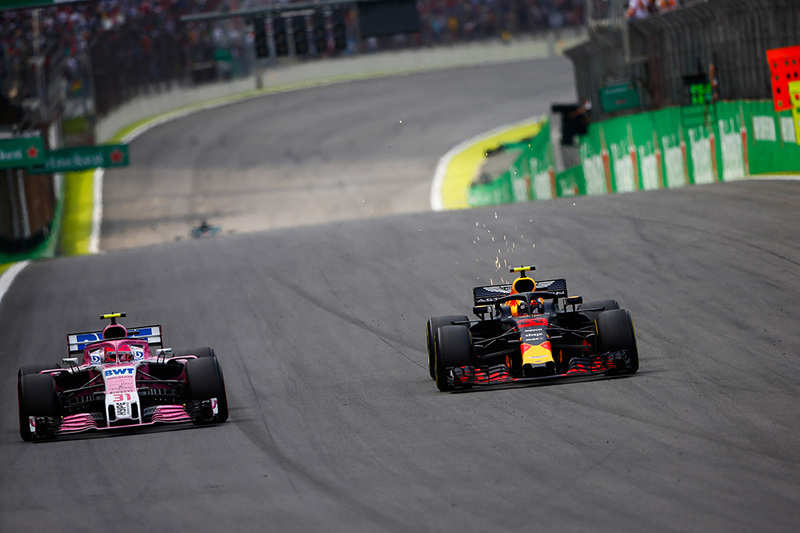 Max Verstappen was on course to win the Brazilian Grand Prix from fifth on the grid when he collided with Esteban Ocon as the Force India driver was attempting to unlap himself. It was the decisive moment in a tense race that saw Verstappen run long before pitting, emerging from his only stop on lap 35 in third place, behind his yet to pit teammate and Lewis Hamilton, who had stopped on lap 19 and was running to the end. Verstappen worked his way past Hamilton using DRS as Daniel Ricciardo entered the pits, and the Dutch racer was in the lead. But within five laps Verstappen had been spun by Ocon. Hamilton regained the lead, and Verstappen had a 5.6 second gap to make up. “I hope I don’t find him in the paddock or else he is *beep*!” said Verstappen about Ocon after the incident. Despite starting from pole, the Brazilian Grand Prix was not an easy win for Lewis Hamilton. The Mercedes and Ferrari drivers were lined up side by side on the starting grid, each team gambling on a different tyre strategy with the constructors’ championship at stake. Early on, Mercedes were in control of the race, as their strategists had predicted. But a growing Red Bull threat from both Max Verstappen and a charging Daniel Ricciardo, fighting to overcome a five-place grid penalty that saw him start eleventh, meant that Hamilton’s win was far from assured. Verstappen gave good chase in the closing laps, but Hamilton managed to retain the lead despite his fraying rubber. 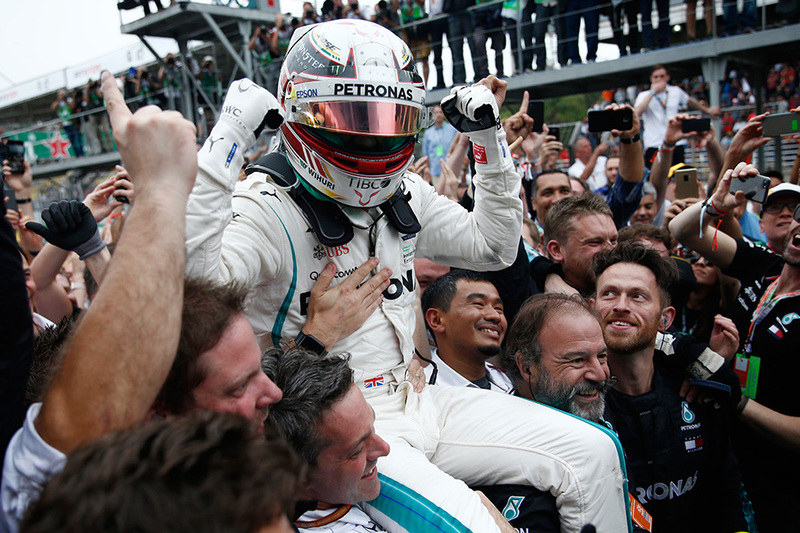 When he crossed the line to secure victory at Interlagos on Sunday afternoon, Lewis Hamilton secured his fiftieth win for Mercedes since the engine regulation change in 2014, and the 99 grands prix run using the new power units. 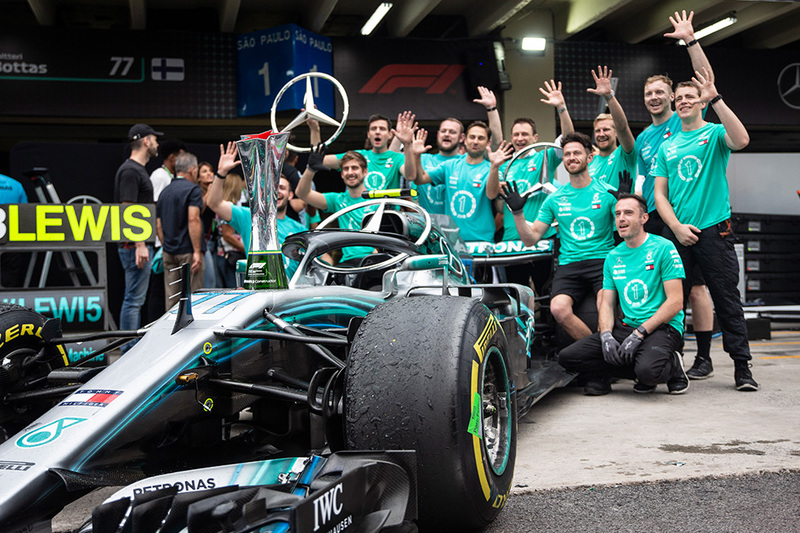 While the Silver Arrows have long dominated F1’s new turbo era, Hamilton’s Brazilian victory means that the team have won 73 of the 99 races since 2014 – or 73.7 percent – with 20 wins for Nico Rosberg and three for Valtteri Bottas. It is an astounding technical achievement, and one that has cost a lot of blood, sweat, and tears – not to mention investment from the board.